BBC Good Food has this Spanish fish on broad beans and chorizo in it’s June issue, which is perfect for a Friday night dinner. It’s basically just a single tray roast. 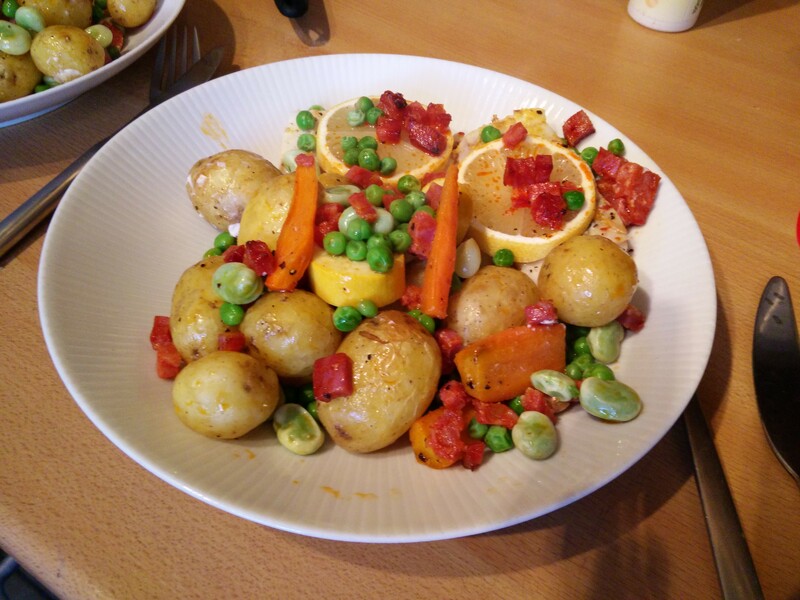 Parboil potatoes and some (OK all…) of the carrots from the garden, then start to roast in olive oil. 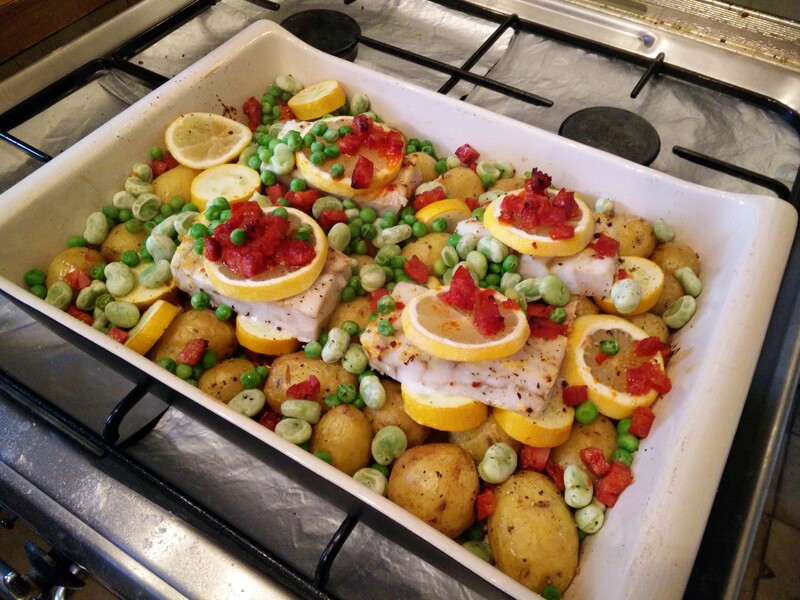 After 15 minutes the fish goes in, topped with lemon slices, along with garden yellow courgettes, then just before the end broad beans and peas. Despite 12 minutes parboiling, and 30 minutes in a hot oven, the potatoes were barely done in places. Why do potatoes always do that!? Apart from that it was great. 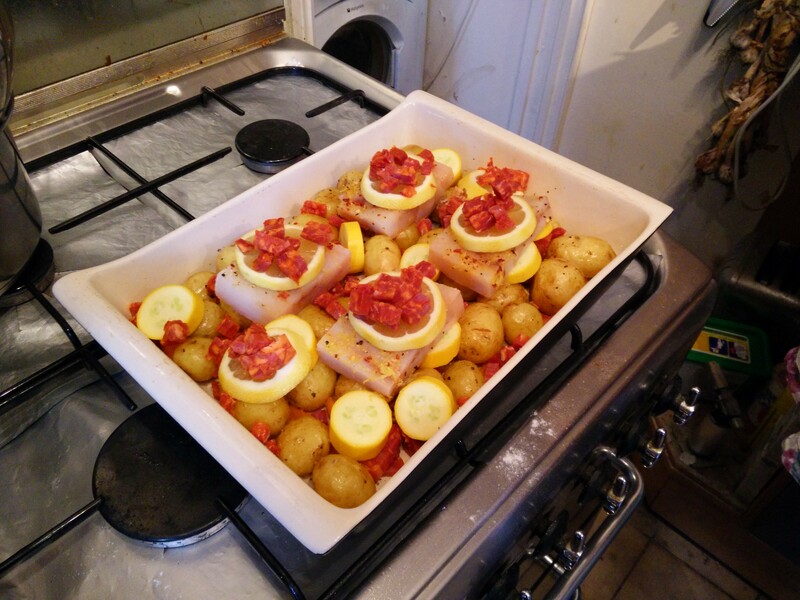 The sprinkling of chilli flakes we added to the fish seasoning, combined with the chorizo, gave a lovely heat. And of course the lemon and chorizo juices made everything taste great.